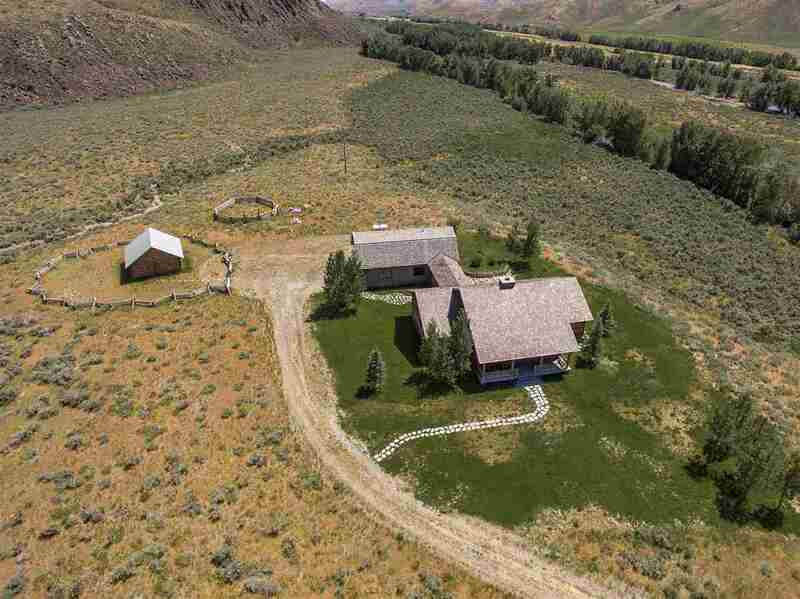 293 acre Ranch located along the Little Wood river with gorgeous view of the Sawtooth Mountain range. 2003 Custom home offers 5 bedrooms and 4 baths, 3 of the rooms have there own bathroom, which includes loft above garage. Living room has large rock fireplace and kitchen is very spacious for cooking and entertaining. Little more than hour drive to Sun Valley, airport and St. Luke's Medical Center. 576 sqft Log cabin sleeps 6 and has its own bathroom. Also includes Oversized 1344 sqft garage.